Less than two weeks after the devastating Jan. 12 earthquake in Haiti, the Jewish Federation’s Haitian Earthquake Relief Fund has reached more than $600,000, with donations from more than 3,300 contributors. 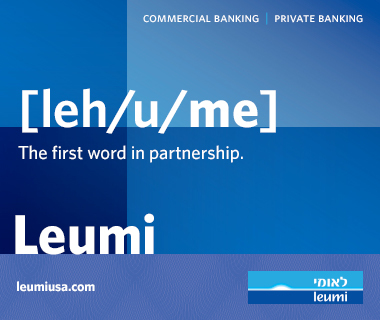 A large portion of these funds have been funneled the American Jewish Joint Distribution Committee (JDC), which has supported an Israeli field hospital and food and water distribution to survivors, and is planning future rebuilding efforts, and IsraAID, a coalition of Israeli and Jewish organizations that coordinates emergency response and relieve efforts worldwide. 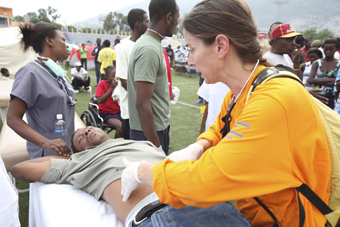 Along with other Israeli relief workers, an IsraAID delegation was among the first rescue teams on the ground. 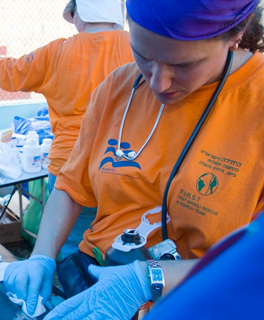 Volunteer doctors and nurses were working with teams from other countries and have treated more than 1,300 patients, some of whom required life-saving operations in an Israeli field hospital. 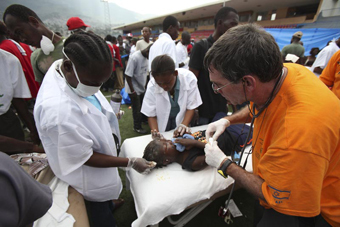 Funds raised through the Federation’s Haitian relief effort also have been sent to the Israeli volunteer rescue organization ZAKA, which freed at least a dozen people from beneath rubble, and the American Jewish World Service, which is working with its on-the-ground partners to provide relief in affected areas outside Port-au-Prince. Federation is continuing its efforts to provide relief in the disaster area. Contributions to the Jewish Federation Haitian Earthquake Relief Fund can be made at www.juf.org/relief_fund or by calling the hotline: 312.444.2869. 100% of collected donations go directly to support non-sectarian needs on the ground; the Jewish Federation is absorbing all administrative costs.